On 30 August 2009, Kimi Raikkonen won the Belgian Grand Prix. The victory at Spa was the F60’s only victory in a season that was more troubled than ever for the Scuderia, especially with Felipe Massa’s serious accident in Hungary. 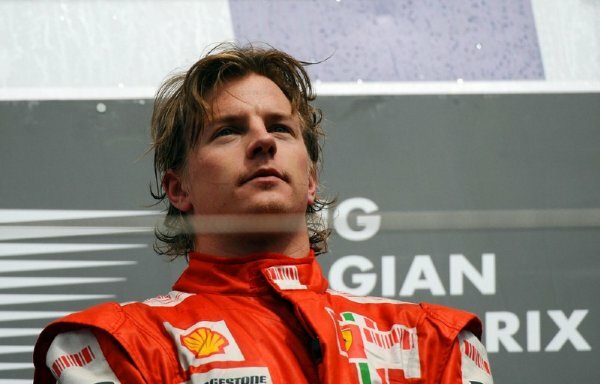 In qualifying, Kimi could do no better than sixth place, but in the race, thanks to his talent and the fact that at this circuit the KERS can play a greater role than elsewhere, the Finn was able to make up three places at the start, then pass Kubica as early as the first lap and get the better of Fisichella on lap 5 after a safety car period. From then on, despite having a car that was slower than the Force India driven by the man who would become his team-mate for five Grands Prix as from the next race, he produced a fantastic performance, defending his position using the kinetic energy recovery system. I also just read that Kimi signed for Ferrari already. It will be announced at Monza. QUESTION NOW IS WHO WILL LEAVE FERRARI? what a sweet memory! its my favourite win bar Brazil 2007, i simulated illness to get back home to watch the race lol, i nearly lost my voice when Kimi crossed the finish line. i will never forget that one. It was a bitter sweet memory. Sweet because Kimi won with flawless performance which shown the world his talent. Bitter because we knew Ferrari paid him to leave the team!!! I still hate Ferrari but if Kimi rejoin them then i w try support them because of Kimi! Looks like it is true otherwise why they published this win by Kimi for Ferrari?